EghtesadOnline: NASA said on Friday it will send a small helicopter to Mars as part of the U.S. space agency’s 2020 mission to place a next-generation rover on the Martian surface, marking the first time such an aircraft will be used on another world. 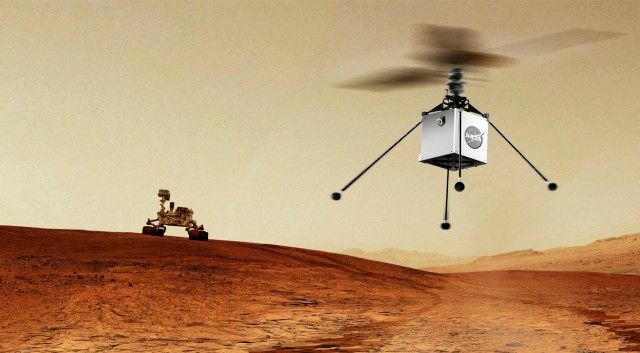 The remote-controlled Mars Helicopter, designed to take flight in the thin Martian atmosphere with twin counter-rotating blades, weighs about four pounds, with a fuselage the size of a softball, NASA said. Its blades will spin at almost 3,000 rpm, roughly 10 times the rate employed by helicopters on Earth, according to Reuters.